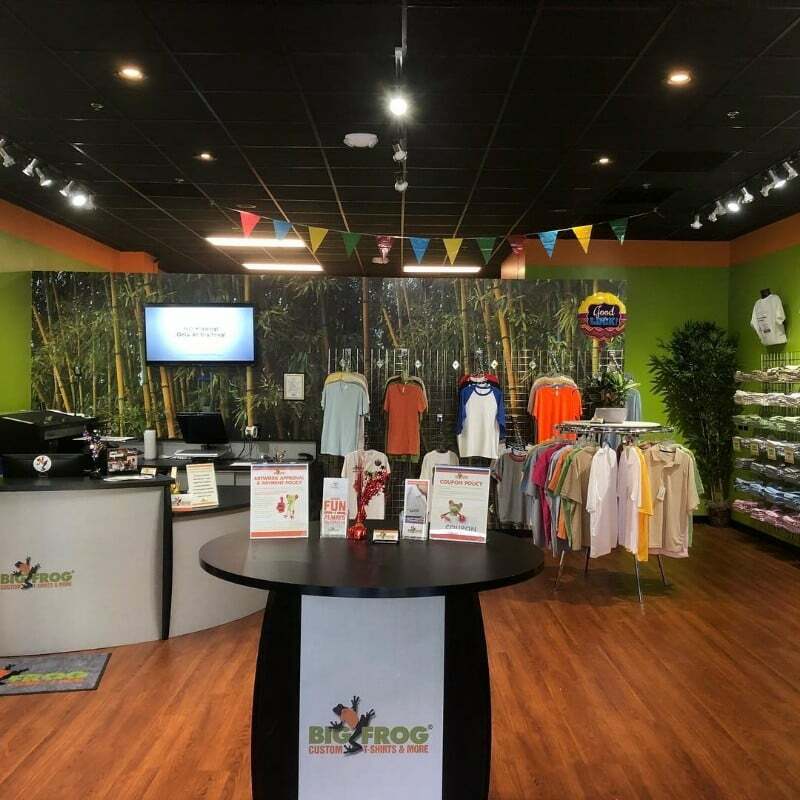 Big Frog Custom T-shirts & More of Raleigh-North provides Custom Garment Decoration services, allowing you to get your image/logo/concept/idea on just about anything soft and fluffy. Our process, called Direct-to-Garment, allows us to have no minimums, no set up fees, and (for in-stock items) 24-hour turnaround! Walk on in to our store to see the garments, feel the materials, try them on, and find what you like. Work with our talented designers to bring your inkling of an idea to life, or get some last-minute touchups to a finished design. We’re not just “t-shirts”, we can provide our services on polos, hoodies, ladies wear, mousepads, coozies, towels, and more! We also offer embroidery services, screen printing services, and UltraPrint! 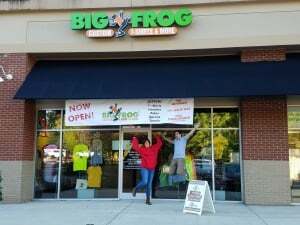 Give us a call or a visit, and let us be your BFF…that’s Big Frog Friend!